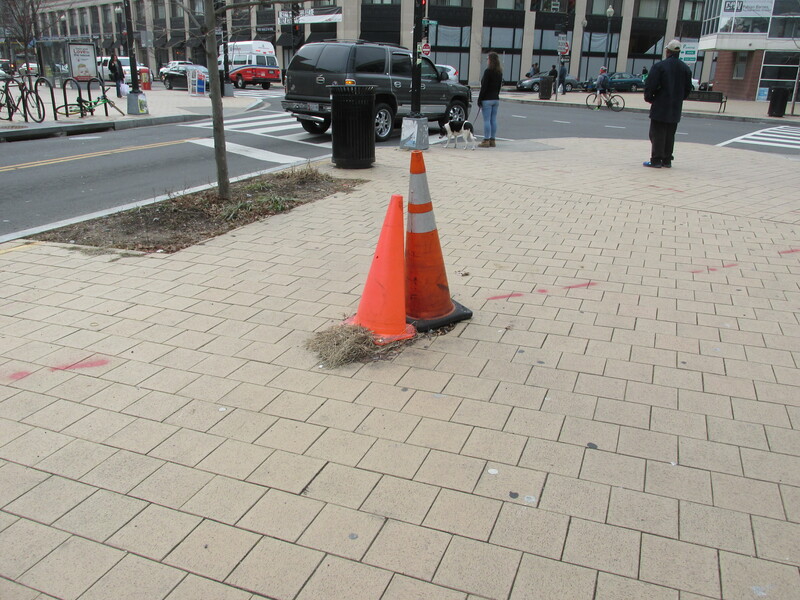 I’m very happy to report that work began yesterday to correct the poorly configured crosswalk across New Hampshire Avenue just east of Georgia Avenue — especially the location of the cut through in the median as it related to the other crosswalk ramps. 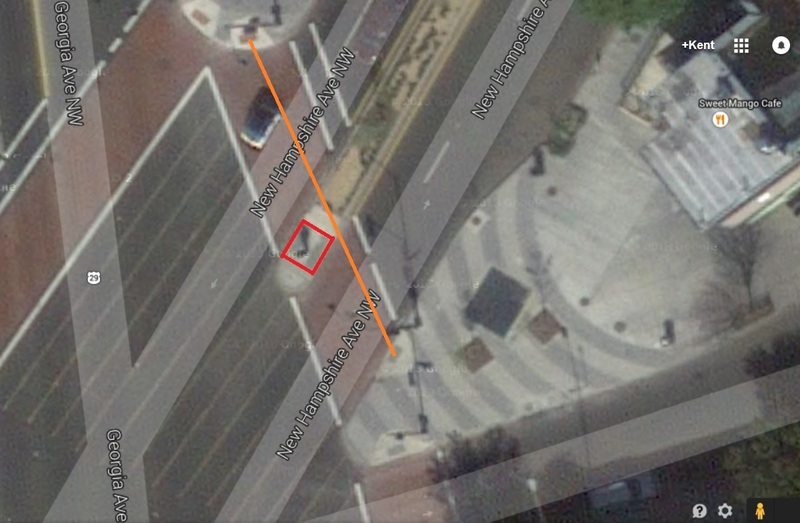 The crosswalk was installed in 2011 as part of the Middle Georgia Avenue Great Streets project, and in 2015 I highlighted how the poor configuration of the median section actually made it impossible to cross the street in a straight line for those in wheelchairs, thus making me question if the crosswalk was ADA compliant. 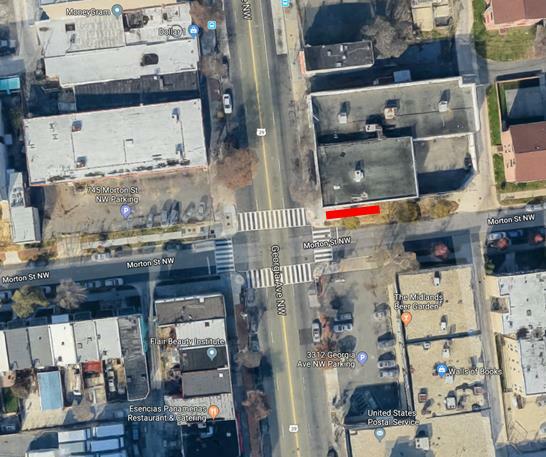 ANC1A is currently working with and supporting neighbors who have identified additional areas along lower Georgia Avenue where improvements are needed to improve pedestrian safety. I look forward to sharing news on those efforts soon. 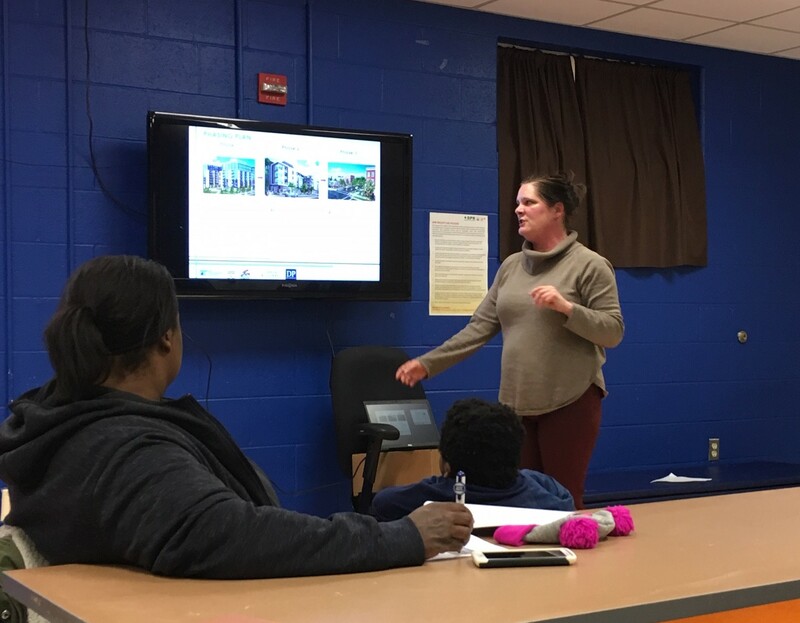 DDOT continues to review locations to expand their Capital Bikeshare program to meet growing community demands for the service. 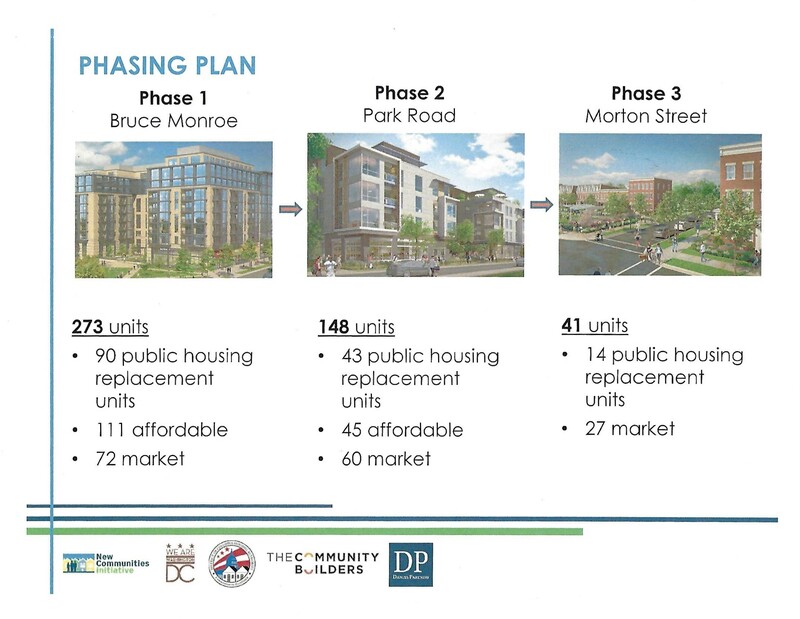 They have identified a new location that looks promising — the northeast corner of Morton Street and Georgia Avenue. 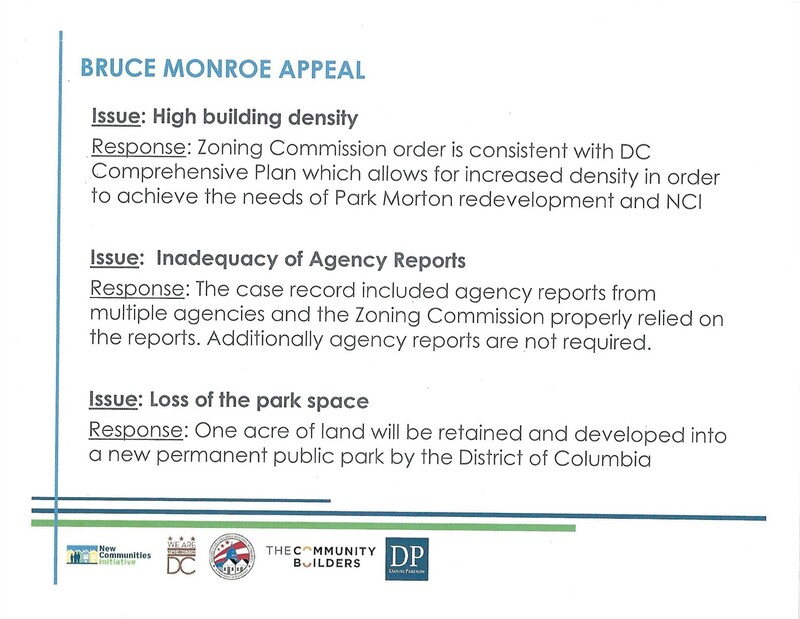 Based on DDOT’s preliminary review, there are no parking or traffic impacts to installing a station at this location because it is not in the roadway. 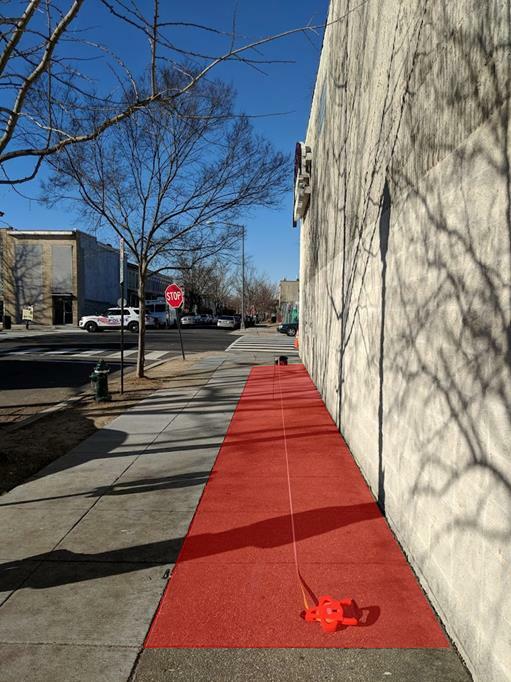 The sidewalk is 12 feet wide, so with the bikeshare station installed there would be a six foot pedestrian travel lane, which meets the standards in the Americans with Disabilities Act. 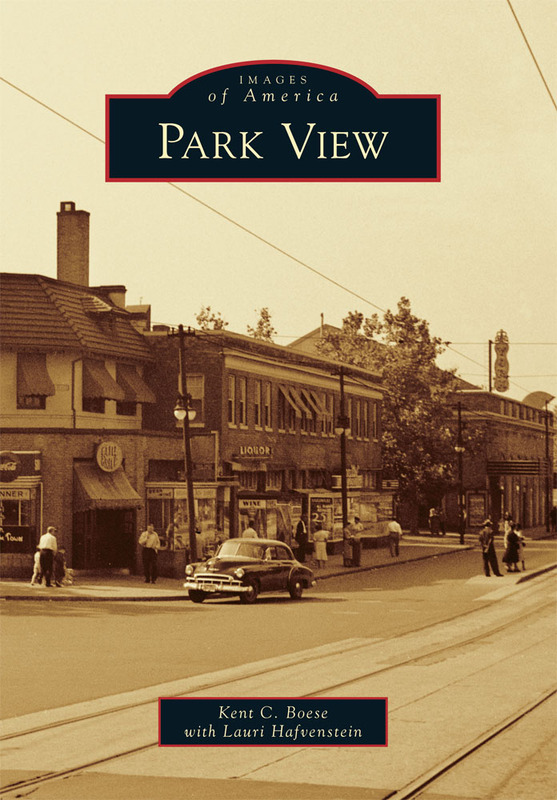 I know that a location in central Park View has been something that many have wanted for years, so the location helps meet that demand as well. 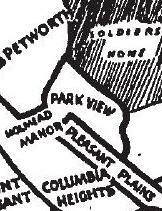 The station would be placed next to “Adventure Dental” on the Morton Street side. The following photos provide a better idea of where the station could go. The Heritage Trail sign at Georgia and Morton is loose and in need of repair. Since 2015, I’ve continued to ask why we have Heritage Trails and Markers in our neighborhoods if DDOT has no funds or staff to keep them in good repair. 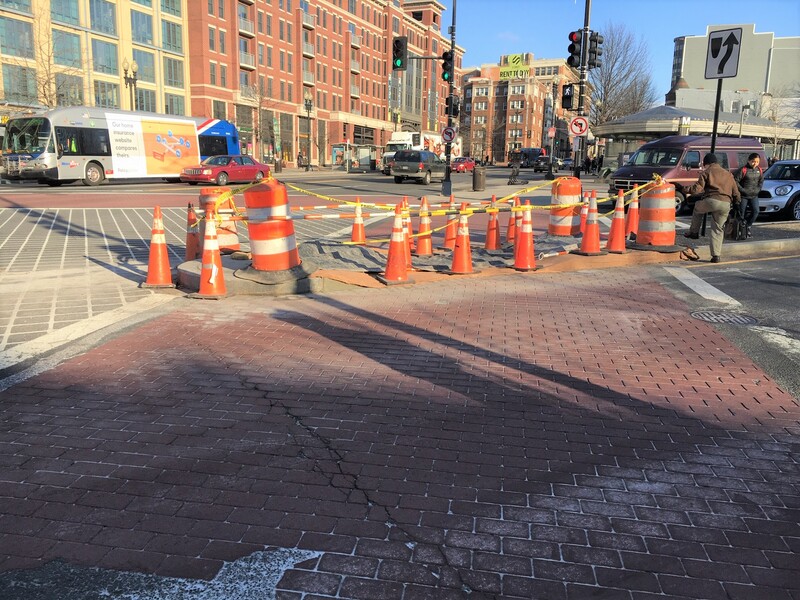 In order to bring attention to this issue, in March 2018 I introduced a resolution that was unanimously passed by ANC1A urging the Mayor and DDOT to address this growing issue. At that time I listed four known heritage trail signs that were missing. Today, I personally visited the four sites of the missing signs as well as a few others to see if any progress had been made over the past year. Sadly, the four signs are still missing. I’ve also noticed two more that are loose and in need of repair. 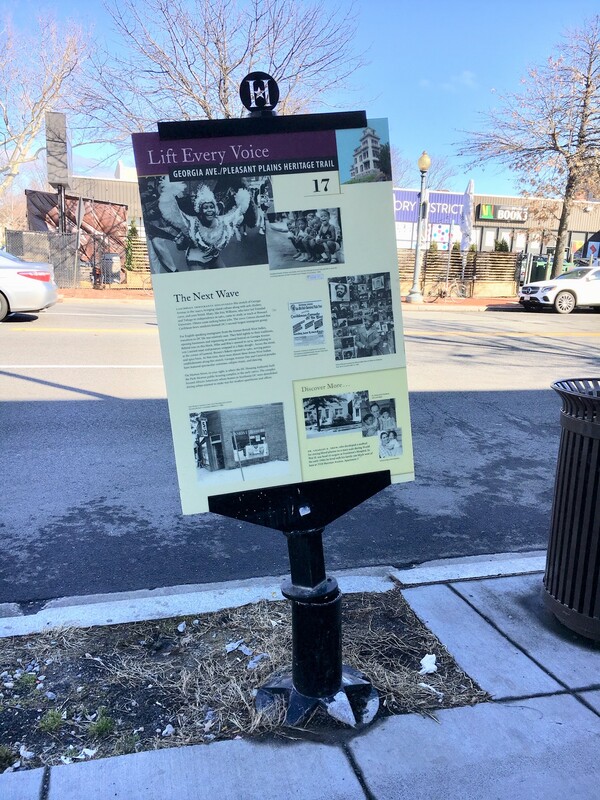 Sign #17: Cultural Convergence: Columbia Heights Heritage Trail. Sign missing for nearly 3 ½ years, since at least July 2015 (Location: 16th and Harvard). Tomorrow, I’m signed up to testify before the Committee on Transportation & the Environment at the Council’s Performance Oversight Hearing. I’ll be adding the issue of the heritage trail signs to my list of items that I need to address. 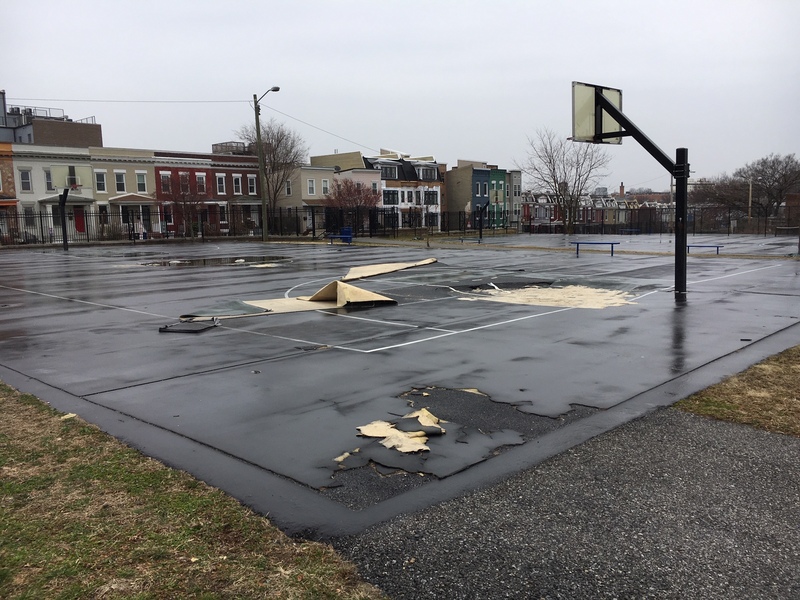 Maintenance of the basketball courts at the Bruce Monroe site has been an ongoing issue for at least a year, and as you can see from the photos above and below one of the courts in particular is completely unusable. 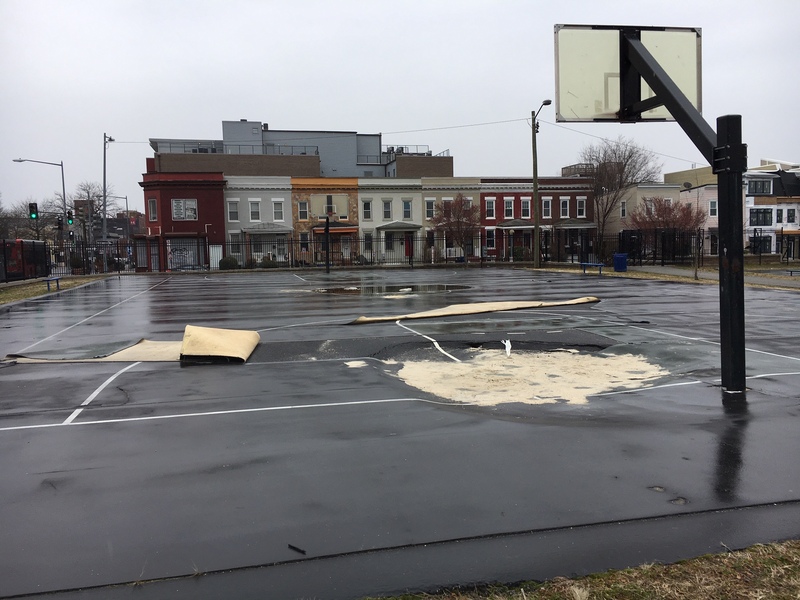 To address this, beginning on Tuesday, February 26th, the Department of General Services will be taking the basketball courts off-line for approximately four weeks in order to repair them. DGS’s contractor will install protective fencing around the work areas while work is in progress. 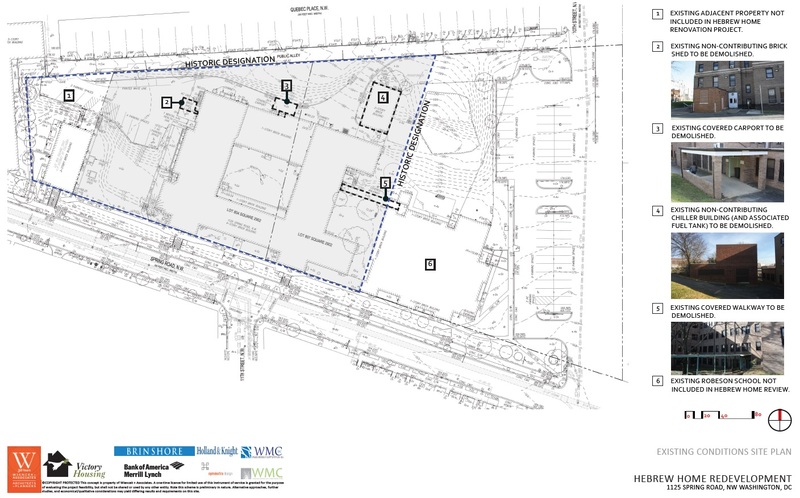 DGS does not anticipate that other area of the site will be affected during this work.